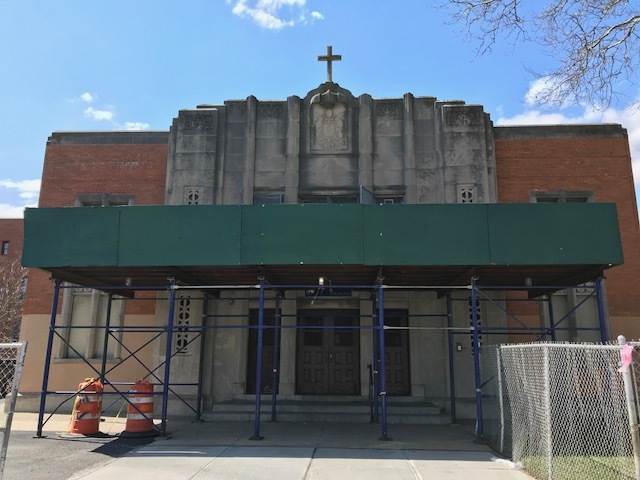 Albert F. Meissner (June 27, 1887-October 22, 1959) was an architect largely known for designing numerous Catholic churches in Queens . His earlier structures are more conservative and historicist, but his art deco designs are standouts, like St. Teresa of Avila in South Ozone Park, St. Francis de Sales in Belle Harbor, and his late career Queens Chamber Award-winning Blessed Virgin Mary Help of Christians in Woodside, completed the year before he died. 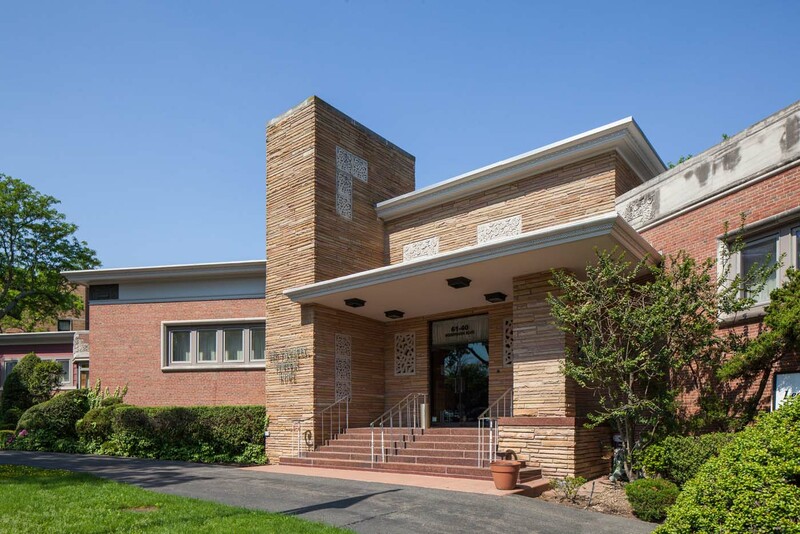 He also designed two unusual funeral homes for the Leo F. Kearns family. 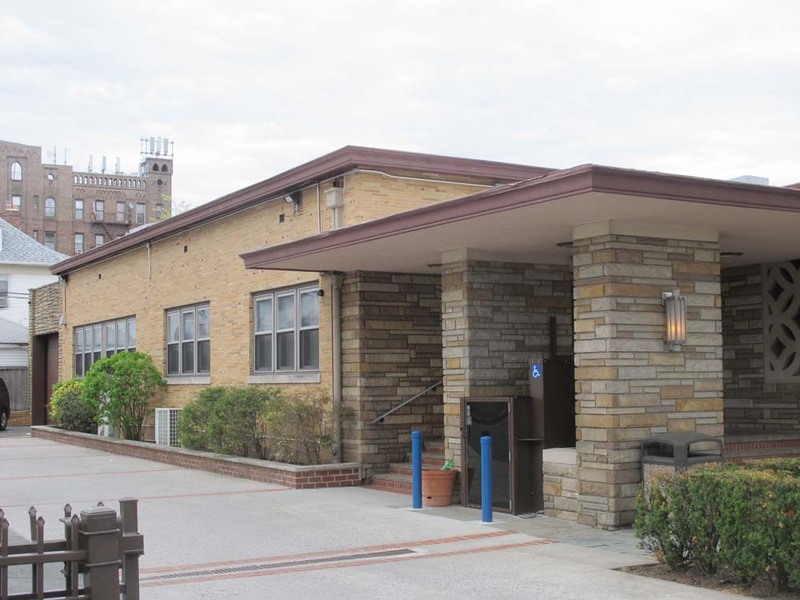 The long, low structures have flat roofs cantilevered at the entrances, a variety of facade materials including brick and stone veneer, small window groupings, patterned concrete panels, and a cast stone window grate made up of the firm’s initials LFK. They are unlike anything else in New York City, evoking Frank Lloyd Wright’s Usonian era designs. According to Kearns family lore, Leo Sr. knew Kearns from the Catholic church community in Queens, which is how he secured the commission. The first design was partially based on feedback from Leo Kearns on an initial Colonial Revival scheme . Both funeral home buildings won awards from the Queens Chamber of Commerce Building Awards program in 1952 and 1955. Noda, Jessie (2011), “Roman Catholic Architecture in Queens, N.Y.” (master’s thesis), Columbia University Graduate School of Architecture, Planning, & Preservation. Kearns, Thomas, interview, 27 April 2015.